During Comic Con India, OnePlus unveiled another variant of the OnePlus 5T. 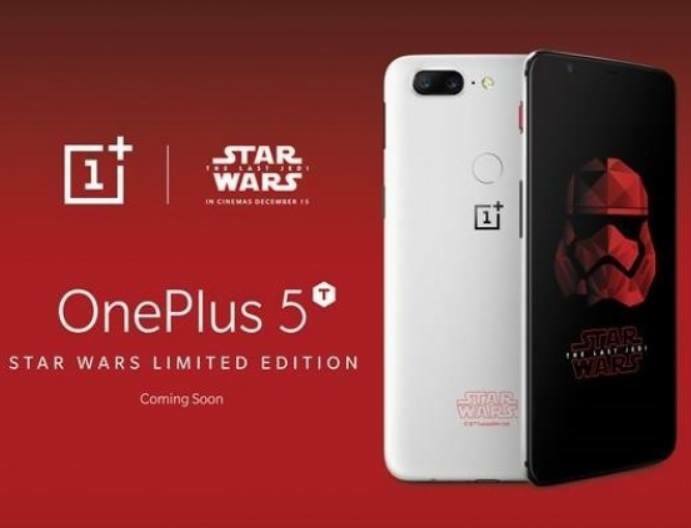 It is a limited edition Star Wars themed OnePlus 5T, which sports a combination of red and white colors. It still has the same awesome specs that the OnePlus flagship killer has. It still has the tall form factor sporting the beautiful 6-inch 18:9 FHD+ display. The impressive dual camera is still there with 16MP + 20MP sensors. The selfie camera still has the 16MP f/2.0 Sony IMX371 sensor with EIS. It still has the same specs inside as well. What you are getting with the limited edition is the Star Wars color scheme with an all white back with red accents like the buttons. It also has a Star Wars branding at the bottom of the device. However, a Philippine release is not yet sure as it can be an exclusive Indian market release. We can cross our fingers for a local release. The regular OnePlus 5T will be available this December, according to Digital Walker. Digital Walker is the only OnePlus official distributor in the Philippines.